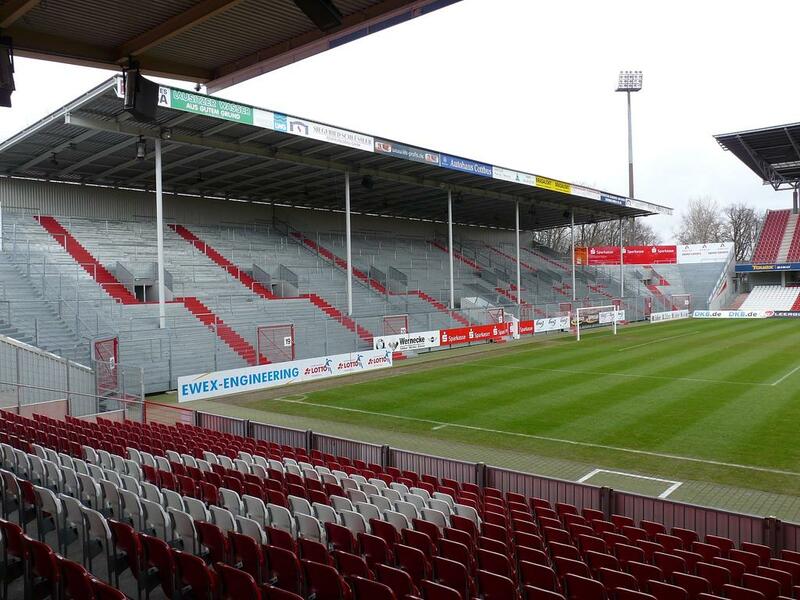 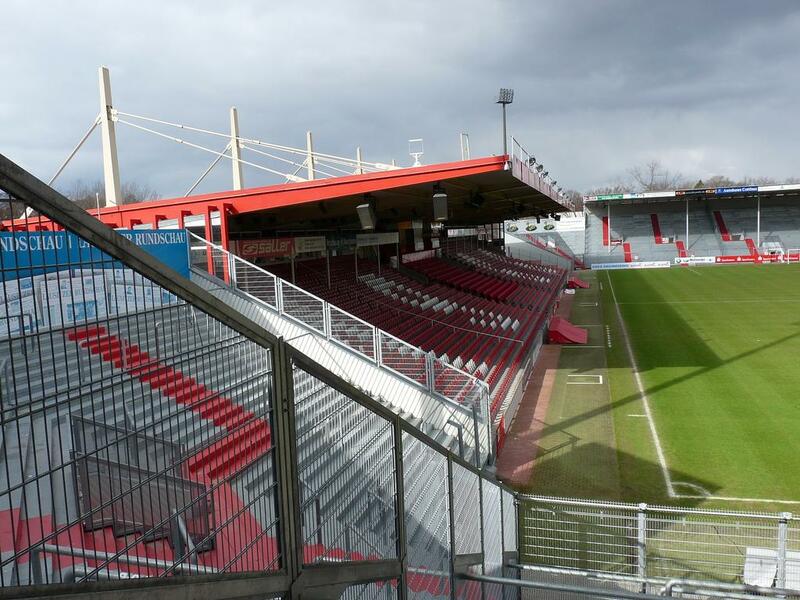 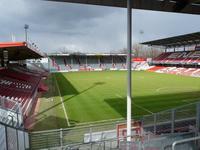 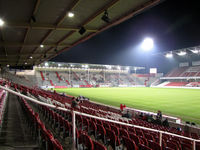 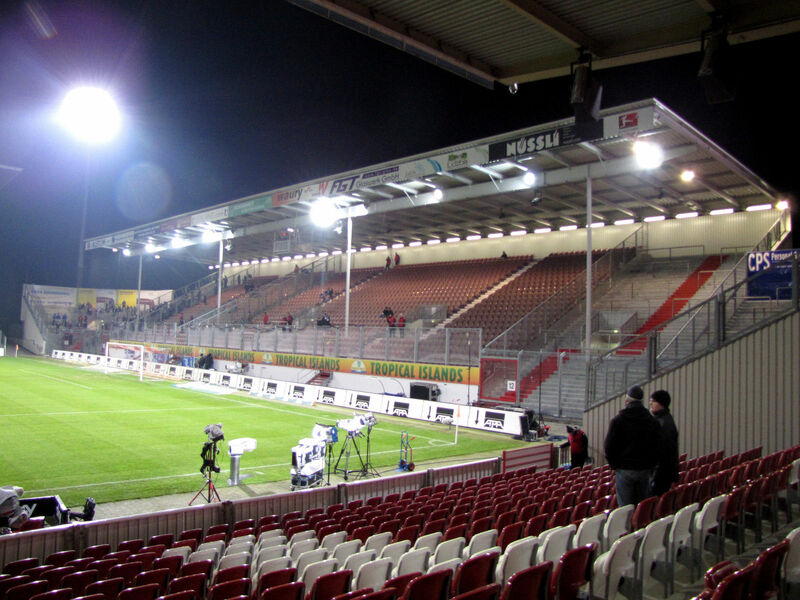 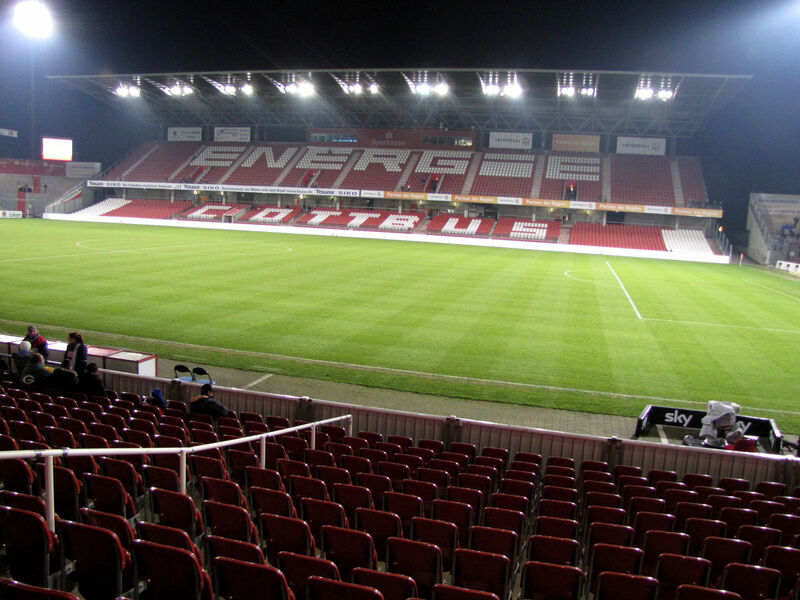 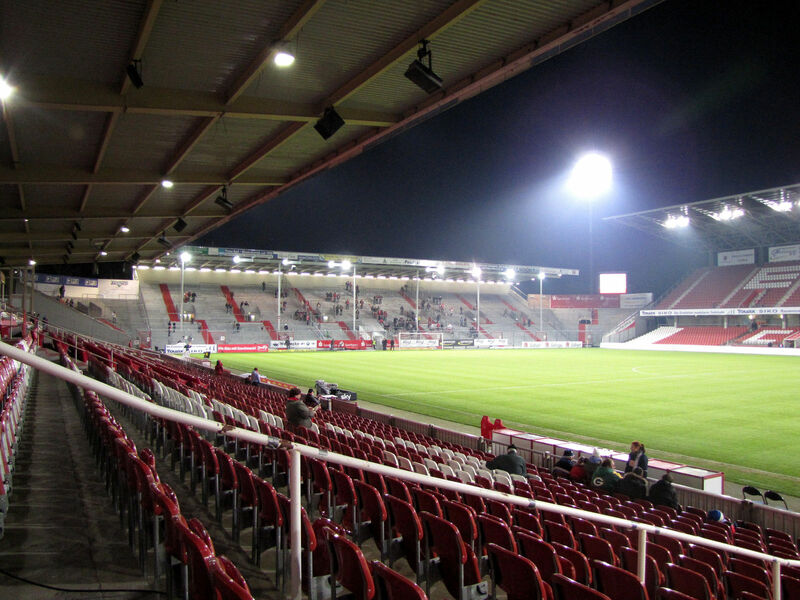 Though built back in 1930, the stadium has any connection to Energie Cottbus only since 1970. 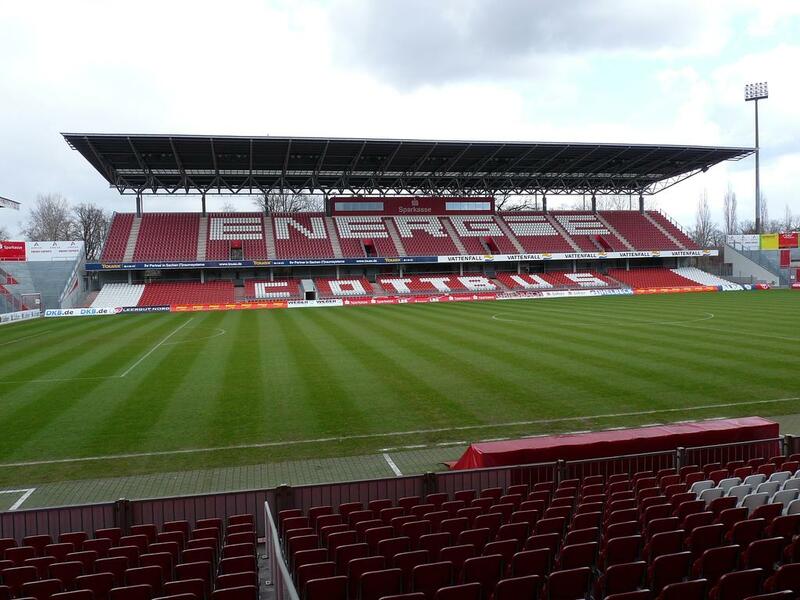 When the club moved here, they had 15,000 capacity to use, expanded to 18,000 in 1985. In 1988 new main grandstand was opened and in 1997-98 a thorough renovation carried out, including the addition of floodlights and giant screen. 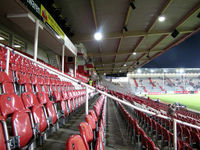 Another phase came in 2004 with the opening of fresh main stand, first one with two tiers and most impressive part of the stadium to date. 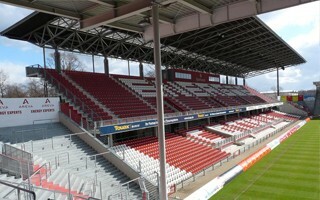 North curve was replaced in 2008 with new terrace and similar move happened to the south, moving fans on both ends closer to the pitch. 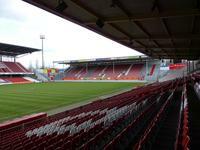 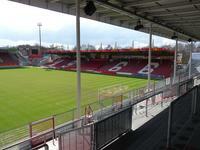 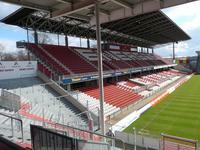 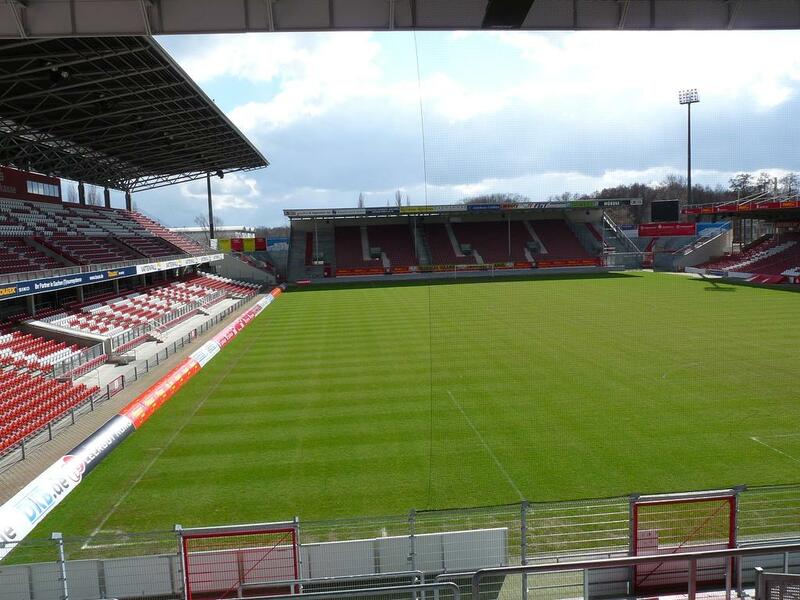 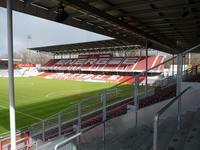 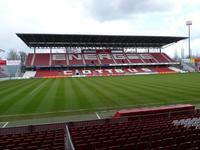 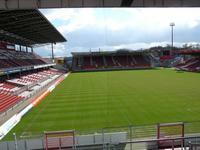 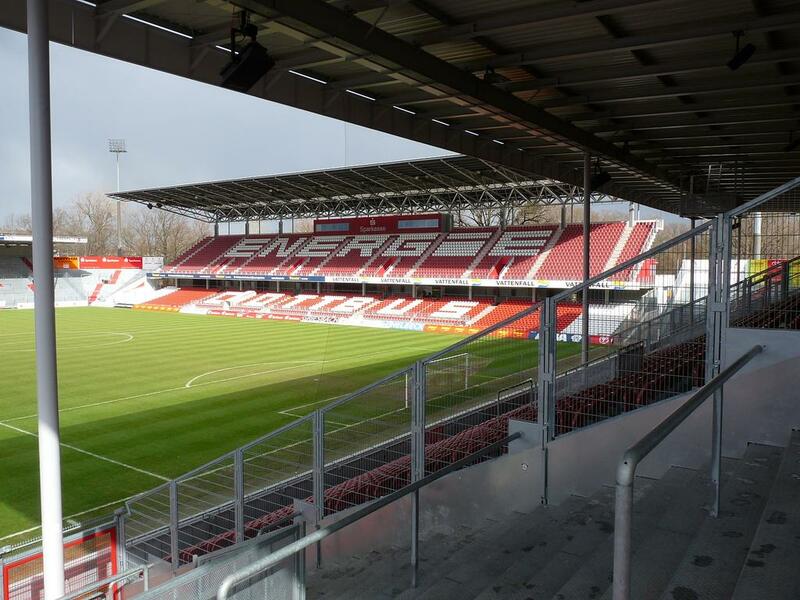 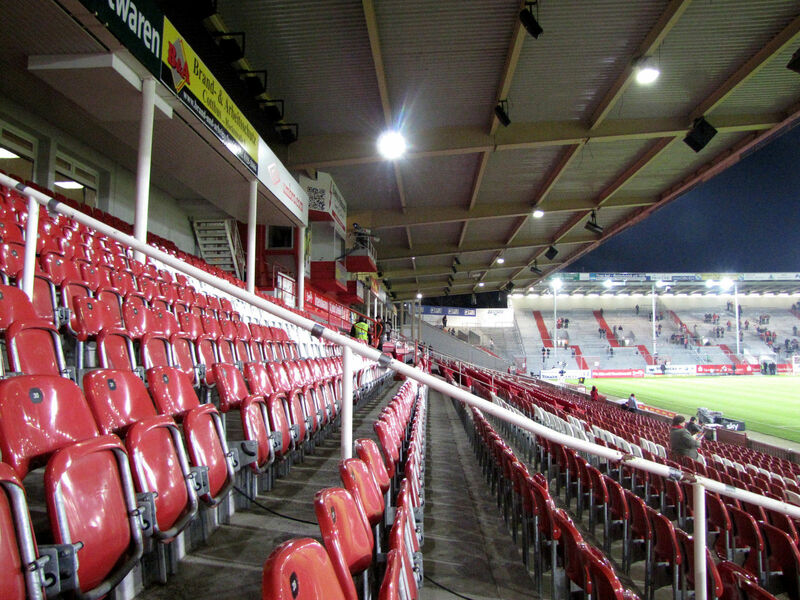 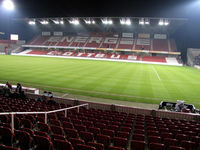 Since 2011 the stadium is owned by Energie cottbus. 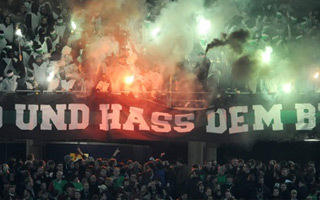 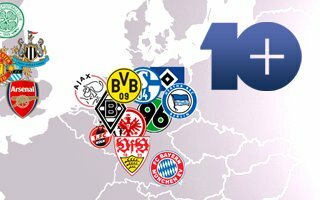 In its history we may find several interesting fixtures, like DDR international games against Algeria and Poland (1976, 1988, respectively), followed by East German supercup game in 1989 between Dynamos from Berlin and Dresden.